The Salsa Fargo, introduced in 2009, was an offroad-specific touring bike ahead of its time. 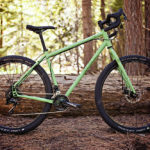 While most touring bikes still had cantilever brakes and 26-inch wheels, Salsa was busy bringing mountain bike technology across to the touring segment. The idea was simple: a 29er mountain bike with clearance for 2.4″ wide rubber and spec’d with road handlebars. It was essentially a shorter and taller mountain bike frame with lots of eyelets. With the big wheels and fat tyres, the Fargo could roll faster on rougher roads and trails. 8 Years On… The 2017 Salsa Fargo! The Salsa Fargo frame now uses a triple-butted, Salsa-designed, CroMoly steel tubeset that they call “Cobra Kai”. This tubeset is internally and externally butted (adding strength and reducing weight) and is frame size-specific. It was first introduced on the Salsa Marrakesh touring bike last year. Salsa have tweaked the steering of the Fargo to be slower than previous designs, making it the slowest steering touring bike available. This steering speed mimics many mountain bikes – Salsa say this is so that the frame can accomodate suspension forks with 51mm offset. The Fargo sizing has changed a bit too. It now has smaller sizes that are shorter and lower, and larger sizes that are longer and taller. Salsa added a split in the dropout so that the bike can run carbon belt drive! 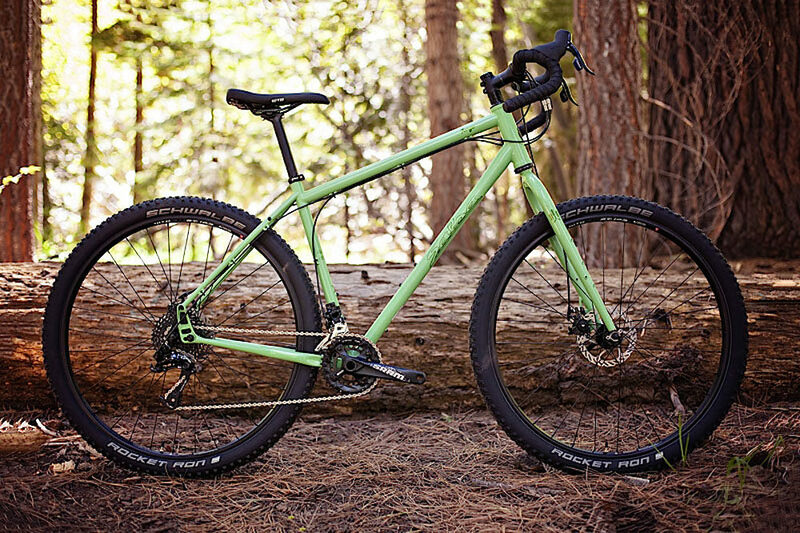 The Salsa Fargo 29 GX (US $1699) is spec’d with a double crankset and cable disc brakes for touring simplicity. It matches SRAM Apex road levers with SRAM GX mountain bike derailleurs to provide ultra-low gearing for off-road riding. The bike’s gear range falls between 19-100 gear inches which I’ve found is optimal for touring in any country and almost any terrain. There’s a steel touring fork up front with low-rider rack mounts, fender mounts and 3-boss cargo cage mounts (2). Up the back are Salsa’s Alternator dropouts which give you rear axle options for your Fargo, including the ability to use a Rohloff 14-speed hub (and Gates Carbon Drive). With Salsa’s bikes, you do need to use their Alternator rack given their tall dropout design. This alloy rack isn’t the best bit of kit, but will be good for up to 15kg according to their website. The Salsa Fargo 27.5+ Rival (US $2299) is the same steel frame, but with a carbon version of the Fargo fork. This fork has the same functionality as the steel fork, albeit with a lower overall weight. 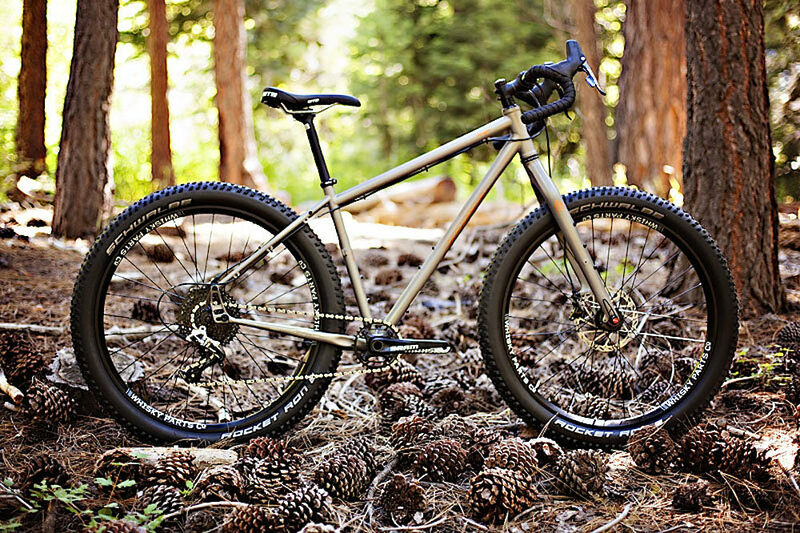 The 27.5+ wheels make this a proper off-the-beaten path bike. With 50mm wide rims, 3.00″ tyres and really low pressures, the grip on technical terrain and even sand will be huge. The Salsa Fargo 27.5+ is spec’d with SRAM Apex shifters and hydro brakes, plus a single front 32t chainring and 11-42t rear cassette. It has a SRAM Rival derailleur up back which is where the model name is derived. The bike is intended for off-road trails and has a gear range to match of between 22-84 gear inches. Both Salsa Fargo models will be available in November 2016.